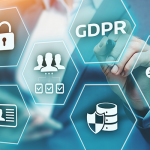 With critical data being stored in an array of systems from complex virtual environments through to roaming users and mobile devices, the need for a single backup platform has never been more important. AssureStor delivers backup2cloud enterprise, a feature rich solution that offers a fully automated backup platform with comprehensive enterprise features capable of protecting your data no matter where it is located. Powered by award winning Asigra software, and supported through a dedicated UK-based presence, the AssureStor backup2cloud enterprise platform is the ideal solution for all of your backup needs. 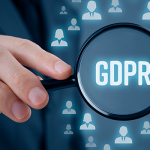 All data, both in-flight and at-rest within our cloud, is protected by military grade encryption with FIPS140-2 certification and a unique encryption key only known to the user. backup2cloud enterprise is AssureStor’s premium Backup as a Service (BaaS) offering. 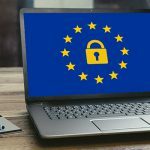 It provides comprehensive cloud backup for UK businesses, based on a platform capable of delivering end-to-end backup protection for all data, no matter where it is located. The backup2cloud enterprise platform is powered by award winning Asigra software. Backup your data to multiple secure UK-based Tier III+ data centres. Military grade encryption is in place, protecting your data both whilst in-flight and at rest. Incremental forever backups, combined with compression and file de-duplication, reduce the bandwidth required to protect your systems, reducing overheads. backup2cloud enterprise protects your data wherever it resides, including servers, desktops, laptops, mobile devices and cloud services such as Office365 and Google Apps. Unlike many backup solutions, which require software to be installed on each server, our agentless approach means that a single client protects your entire site. We don’t expect you to change your backup requirements to meet our capabilities. Backup what you want, when you want, and retain data for as long as you need. Pay only for the amount of backup storage you actually use month-by-month, after compression and file de-duplication, and with no hidden charges. Comprehensive, secure cloud backup for UK enterprises powered by award winning Asigra software. Selecting a cloud backup, recovery and restore platform is an important decision, but it doesn’t have to be a difficult one. 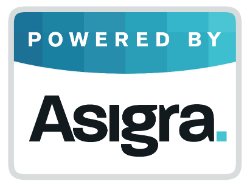 The innovative technology of Asigra Cloud Backup now powers over one million sites worldwide. This success is due entirely to 29 years of building a global ecosystem of strong partner relationships, and it has made Asigra one of the most financially stable investments you can make in the business.